to give her daughter the family she’d never known. the truth inside her and he didn’t run. 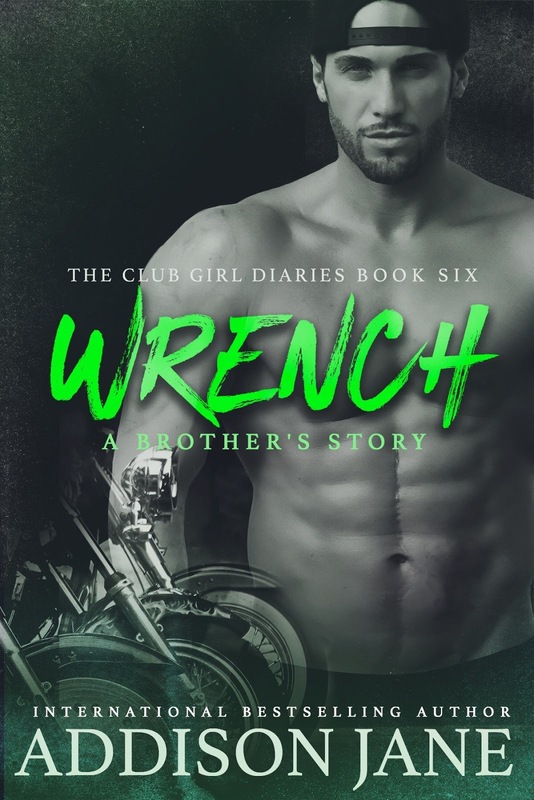 I’ve read all the books in this series, so of course I jumped at the chance to read and review Wrench! 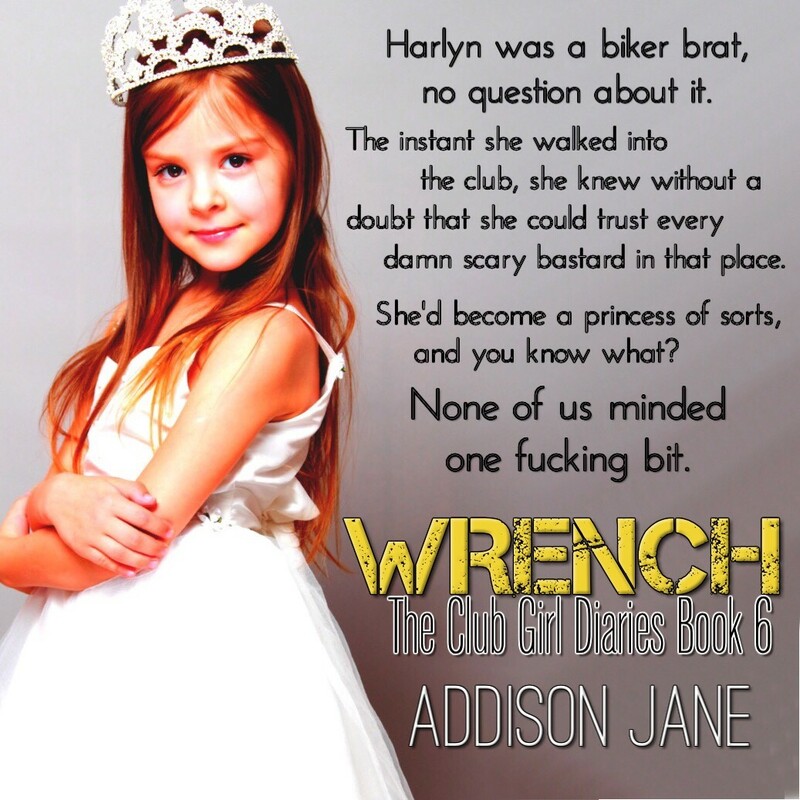 We saw glimpses of Wrench and Sugar in the previous books, and I just knew there story was going to be explosive. And explosive it was! Even though Sugar is the ex of Wrench’s club president, he can’t help how attracted he is to her. And Sugar has secrets buried on top of secrets. Everything has to come to a head at some point, the question is whether or not Sugar and Wrench will still be standing together after the dust settles. 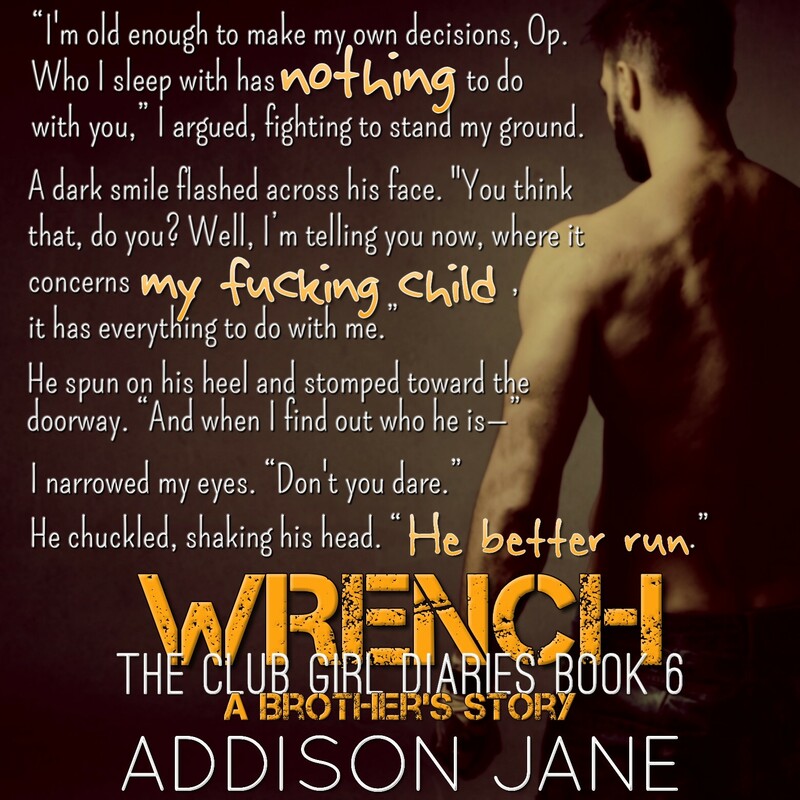 This MC series by Addison Jane is one of my top favorite MC series. I love the guys and their brotherhood, and even though some of the women have had a rough start in life they are still able to stand on their own. The men are hot and alpha, just the way I like them!